If there is one thing I love about the holidays, it’s the associated smells. Cinnamon, pumpkin, fresh pine, burnt woods; they’re all so comforting. I also love all the get togethers. I know I’ll be entertaining this year as well as attending a few gathers. With that, I wanted to get my home scents in order. For the last few weeks, I’ve been testing the Healthy Candle by Lavanila Laboratories. What intrigued me about this product was the supporting material from the candle’s PR company that claimed, ” This all-natural and 100% healthy three-wick candle is non-polluting, soot-free and eco-friendly.” It made me think about some of the other candles I own. I recently bought a great candle, an extremely fragrant one at that. However, upon closer inspection, it certainly was producing soot. 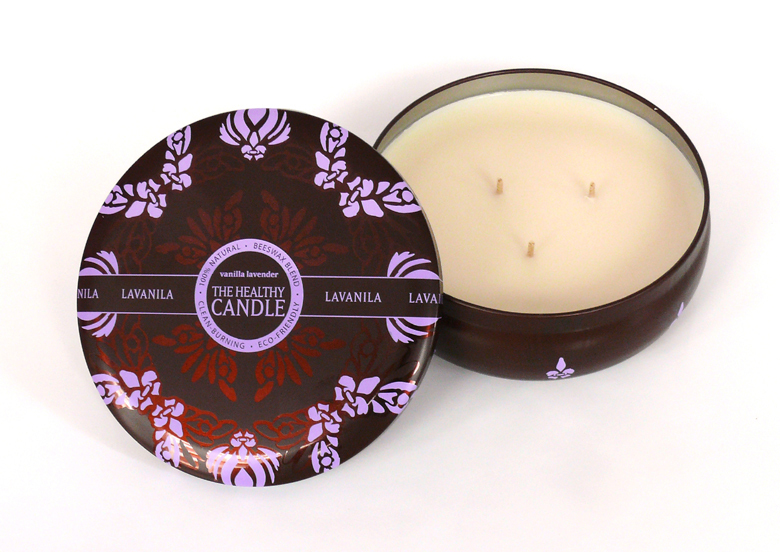 Lavanila burns 90% cleaner and 50% longer than traditional paraffin candles. Completely free of paraffin, formaldehyde, petrochemical, phthalates and other harsh chemicals, the soothing blend of Madagascar vanilla, soft freesia and rich heliotrope is quite calming. The scent isn’t overpowering either. It’s just the right amount to compliment a casual gathering or a relaxing evening. This entry was posted in News, Product review and tagged eco-friendly candles, holiday entertaining, scented candles. Bookmark the permalink.